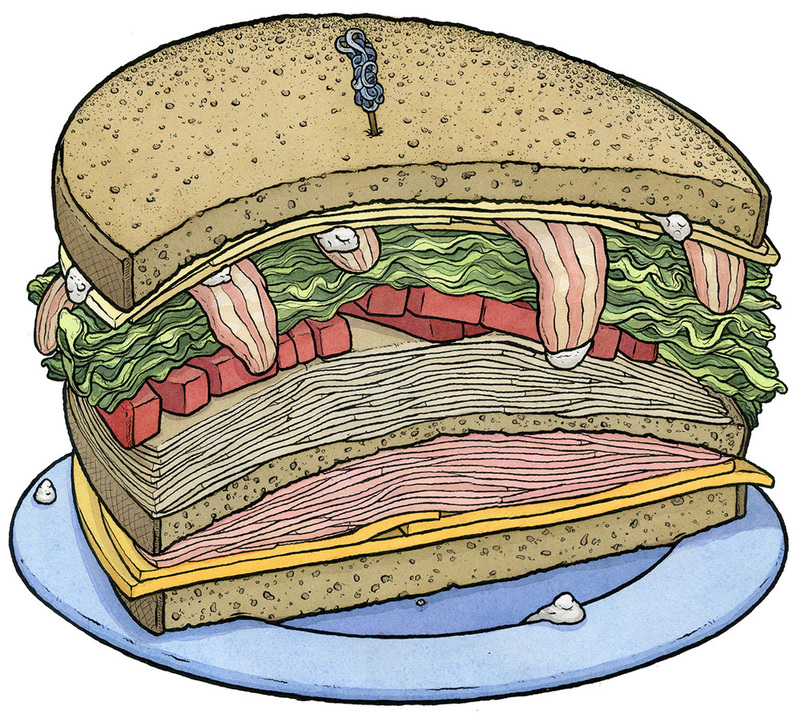 Proposal: a sandwich themed coloring book. I could corner the market for office workers that have nothing to do during their forced, hour-long lunch break. I call this page: WHEAT-MAYO-SWISS-BACON-LETTUCE-TOMATO-HAM-WHEAT-TURKEY-CHEDDAR-WHEAT. I'm hoping the titles can help the colorers determine which markers to use. The back could have a color key so the colorers would know if they got it right.